I know today is a tough day for you darling. It’s a tough day for both of us really. I know today is really a reminder of what could’ve been. It’s a day that should be filled with love, joy and happiness. Instead it’s become a day of sadness, possibilities and tears. I’m sorry it hasn’t turned out the way we would’ve hoped. I remember we were so excited when we found out you were pregnant again. It was a fun few weeks knowing what we knew, all on our own. Our little secret was something we talked about each night, thinking of what the future might hold for the little creature being created inside of you. For me, I was really looking forward to telling the family, and very excited for our first becoming a big sister. But that week in early February kind of changed everything, didn’t it? That happy week, where we were going to tell the family, turned sour after the scan and multiple visits to the hospital. When it all went down, so to speak, it was a devastating time for both of us. I know you felt it and continue to feel it more deeply than I. I just hope I can continue to love and support you in the way that you need. I reckon the miscarriage is probably one of the tougher things we’ve been through together. It’s been a painful and difficult experience for us, but one that has helped us grow stronger and closer together. I mean, the marriage course this year has also helped us, but this really did bring things into focus. Having been through this I’m so thankful that the Lord provided a few glimmers of hope and encouragement in the lead up to the miscarriage, and which continue to sustain us at times. Surely that Sunday sermon has to be the most relevant sermon we’ve ever listened to together. I truly believe the Lord provided sustaining grace for us when we needed it most, particularly through Psalm 91:1-2, “He who dwells in the shelter of the Most high will abide in the shadow of the Almighty. 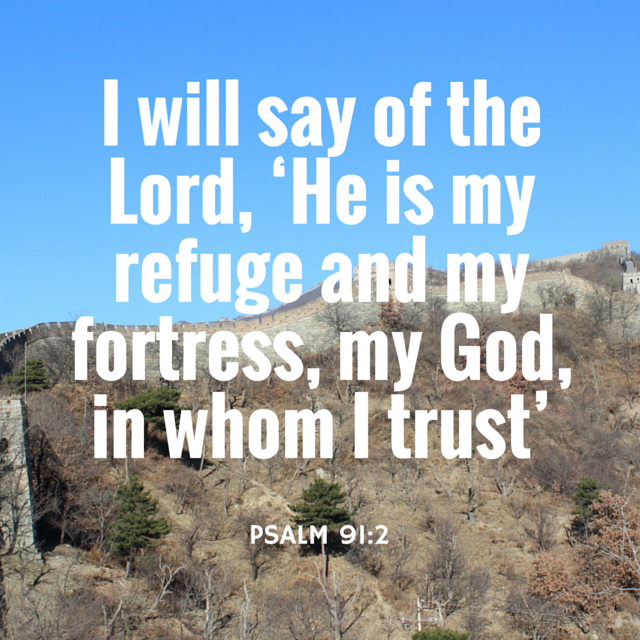 I will say of the Lord, ‘He is my refuge and my fortress, my God, in whom I trust’.” I know this passage, and the preaching of it, continues to give us a sense of His sovereign hand holding us, and a peace despite the hurt. I pray it gives you that grace and peace today. I know we feel the loss of possibility, the loss of opportunity, the loss of what would have been. I know it still hurts, and will continue to hurt, no matter how many more kids we may have. But I’m thankful that despite whatever circumstances we find ourselves in the Lord is with us and is giving us joy and comfort. So darling, I love you. And I’m thankful that we’ve been able to grow closer since this happened. I’m thankful that we’ve been able to walk through this together, and will keep walking despite its challenges. I know its been one of the more rotten years because of this, but despite this brokenness we cling to God, praying with more clarity and regularity for the brokenness throughout the world. I know you would like to know what that little creature would have turned out to be but unfortunately we can’t know that. But darl, I’m thankful we can continue to talk openly about the miscarriage and remind ourselves that despite our brokenness Jesus is the one who makes us whole and the who will bring us the comfort, peace, and healing to our situation. He did that in the first week of February and he’ll do it again today, as we remember the one that got away.